Costa Rica is a country full of diverse natural resources and one of the best locales for expats looking for investment beach real estate. The democratic nation has focused on preserving its natural wonders and creating a country that celebrates the best that life has to offer. 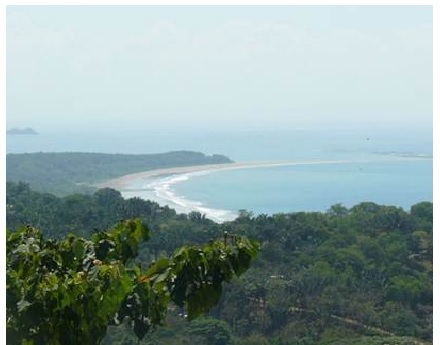 We are a reputable Costa Rica beach real estate company that you can trust. We have a proven track record assisting clients with buying Uvita homes for sale for over 8 years. We are a no pressure sales office, and our only goals for success are to ensure that buyers feel comfortable and knowledgeable during the buying process. We welcome questions and we love sharing our own experience of how we found ourselves living in paradise. Right now we are showing several listings of Uvita Homes for Sale featuring picturesque beaches and gorgeous mountain locales along the coast. Our offices are located in Dominical, Osa Puntarena if you are visiting Costa Rica and want to find out more about Uvita Costa Rica homes for sale in our listings stop in, we’d love to chat! Posted in News and tagged Costa Rica Homes for Sale, Uvita Costa Rica.